75 years ago, on January 17, 1940, Polish mathematician Marian Rejewski broke Enigma, the “unbreakable” German cipher machine, for the first time during the World War II. 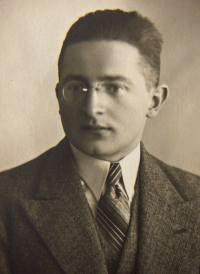 Earlier, simpler versions of Enigma were broken before the war, for the first time in 1932 by the same team of Polish mathematicians: Marian Rejewski, Henryk Zygalski, and Jerzy Różycki. This multi-national effort started with French intelligence delivering initial materials and culminated in Bletchley Park in England, were the team of mathematicians, including Alan Turing, worked continuously on breaking new enhancements and variants of Enigma being introduced by Germans.